The Procter & Gamble Company (P&G) is a leading firm in the consumer goods market, directly competing against Unilever, which is also a major player in the global industry (Read: Unilever’s Vision Statement and Mission Statement). A firm’s vision statement describes the target future situation of the business. In the case of Procter & Gamble, the corporate vision statement emphasizes leadership in the global market. On the other hand, a company’s mission statement specifies the strategic approach to fulfill the vision. Procter & Gamble’s corporate mission statement highlights quality and value as the foundation for ensuring business success. The company’s growth path and strategies in the consumer goods industry are based on this strategic approach to reach the corporate vision. As a dominant firm in the market, Procter & Gamble needs to ensure that its vision statement and mission statement are fulfilled. It is also necessary to consider possible adjustments to these statements to address changes in market conditions and Procter & Gamble’s business needs over time. 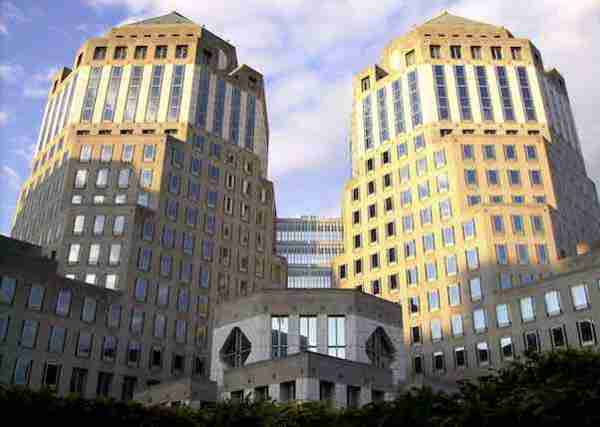 A corporate vision statement for global market leadership defines Procter & Gamble’s business aims. These aims require strategies for achieving leadership in the organization and leadership in the industry environment, while considering various aspects of the business, such as the threat of substitution and competitive rivalry (Read: Porter’s Five Forces Analysis of Procter & Gamble). In addition, a corporate mission statement imposes pressure on P&G management to implement strategic objectives for enhancing the company’s products to ensure competitive advantage based on quality and value. The first characteristic of Procter & Gamble’s vision statement requires steps that ensure the company’s leadership in the consumer goods industry. P&G does not specify the criteria for determining the “best” position. However, typical considerations to achieve industry leadership include quality and value of products, quality of customer service, and corporate responsibility status, among others. The second feature of Procter & Gamble’s corporate vision statement focuses on recognition. Such recognition requires strategic objectives that involve marketing management, among others. For example, Procter & Gamble needs to effectively implement its public relations strategy to enhance corporate and brand image. Such strategy is included in Procter & Gamble’s Marketing Mix or 4Ps. The vision statement also includes the characteristic of global market operations. The emphasis is on maintaining an effective global reach. Procter & Gamble already fulfills this part of the corporate vision by maintaining significant shares of various markets around the world. The mission statement requires that the Procter & Gamble Company must ensure the superior quality and value of its products. Based on this characteristic, a strategic objective is to continue enhancing the company’s products to maintain superior quality and value. For example, Procter & Gamble must always innovate and ensure adequate R&D investment for product development as an intensive growth strategy (Read: Procter & Gamble’s Generic Strategy & Intensive Growth Strategies). Another feature of the mission statement is the improvement of consumers’ lives. Thus, P&G develops its consumer goods to address challenges or problems consumers face. The third characteristic of the corporate mission refers to business performance, especially Procter & Gamble’s financial performance. The fourth feature depicts the desired combined effect of the activities based on Procter & Gamble’s mission statement, contributing to various stakeholders’ prosperity. Prosperity of stakeholders supports long-term business survival. This consideration is included in Procter & Gamble’s corporate social responsibility strategy. Based on the conditions of the consumer goods industry, the Procter & Gamble Company’s vision statement is satisfactory in following conventions on writing ideal vision statements. For example, P&G’s corporate vision specifies an ideal future business condition, which emphasizes leadership or being the best in the global market. A recommendation for a possible improvement of the vision statement is to include variables that Procter & Gamble uses in determining such leadership position. For example, the company can specify leadership or being the best in terms of financial performance, customer service, and product quality. These variables can make Procter & Gamble’s corporate vision statement more effective in guiding strategic objectives and decisions. Procter & Gamble’s mission statement is a detailed account of strategic direction in the consumer goods market. For example, the corporate mission specifies a product development strategy that emphasizes quality and value. Also, the statement includes information about high sales, profit, and value. Moreover, the mission statement’s inclusion of the detail about the prosperity of stakeholders guides Procter & Gamble’s corporate social responsibility strategy. Thus, based on conventions on writing ideal mission statements, Procter & Gamble’s corporate mission statement is satisfactory. Ekpe, E. O., Eneh, S. I., & Inyang, B. J. (2015). Leveraging Organizational Performance through Effective Mission Statement. International Business Research, 8(9), 135. King, D. L., Case, C. J., & Premo, K. M. (2014). Does Company Size Affect Mission Statement Content? Academy of Strategic Management Journal, 13(1), 21. Kirkpatrick, S. (2016). Build a Better Vision Statement: Extending Research with Practical Advice. Rowman & Littlefield. Von Dewitz, A. (2015). VAUDE: Sustainable Value Creation as a Corporate Mission Statement for Small and Medium-Sized Companies. In Sustainable Value Chain Management (pp. 261-274). Springer International.